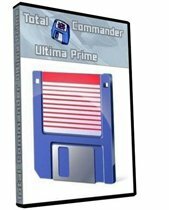 Total Commander Ultima Prime is a special distribution of Christian Ghisler's Total Commander with many useful third-party add-ons, plug-ins and customisations. It also contains extended main menu and toolbar, other programs, changed layout and other elements. The newest version brings another installer's code changes. Since now it is possible to start TC UP with operating system. Because of false alerts provided by antivirus applications, TC UP is installed with safe mode, without any suspicious files. To install whole project's content users should choose "full installation" mode. The project has gained WinContig application for deframenting files purpose. Advanced users should be satisfy with excellent log viewer called Tail for Win32. The way of providing additional informations in customized columns has been corrected. Added "Magnifixer" tool – thanks to Peter Bowie for permission to add this tool to the project. Uniblue Powersuite 2015 is the complete performance solution for your PC, comprehensive set of maintenance tools for cleaning up, repairing and optimising your PC. Uniblue PowerSuite 2015 combines the benefits of three award winning products to deliver the full Uniblue experience: RegistryBooster, DriverScanner and SpeedUpMyPC under a unified interface, adding a special scheduled scan feature for automatic maintenance. Merging RegistryBooster, DriverScanner and SpeedUpMyPC under a single interface, PowerSuite 2013 boosts and protects vulnerable but critical system elements tied to speed and stability. With Uniblue’s three award winning programs working together in sync, Uniblue PowerSuite 2015 guarantees a clean and defragmented registry, regular driver updates, and fully optimized resource management and system settings. After giving your PC a full performance boost, PowerSuite 2015 can schedule unobtrusive background scans to ensure that your system continues to run at its best. And Uniblue SpeedUpMyPC aims to improve your PCs performance through a range of different techniques: disabling unnecessary services, cleaning up junk files, optimising your Internet settings and applying a host of useful Registry tweaks. You get three bonus "Speed tools", too: a CPU manager stops runaway processes from grabbing all your CPU time; the proactive thumbnail generator accelerates Explorer navigation by generating thumbnail images in advance; and Software quick-starter claims it can help applications launch more quickly from the Start menu. There's plenty of functionality on offer, then, but well-designed and clear interfaces mean it's all very easy to access, even if you're a PC novice. And the emphasis is constantly on your safety, so for instance most of the programs will save your original settings before they make any changes. If there are any problems then you can usually restore those previous settings at a click, quickly returning your PC to normal. One powerful product for all your business card and label making needs! 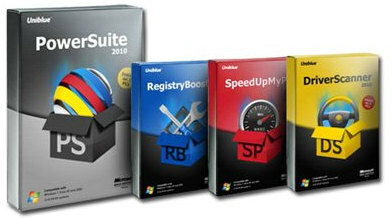 It's business card software, label software & more, all in one package. Print Designer GOLD makes quick work of designing and printing great looking business cards, address labels, mailing labels, shipping labels, CD labels, envelopes, postcards, name badges, signs and virtually any other type of label or card. Includes support for Text, CSV, Excel, Access, DBase, Paradox and many other databases, plus can read Outlook contacts directly. This label program does it all. Easy to use for beginners, yet powerful and flexible enough for experts. • Save Money: Why pay a printer to print your business cards each time you run out or change your contact information. For less then the cost of one order of business cards you can design and print all the business cards you will ever need, making as many changes as you want. • Support for Any Card or Label Stock: Design US size, metric size or custom size business cards, post cards, labels, envelopes, badges, signs and more. • Thousands of pre-defined backgrounds, textures and clipart images: In addition, all common image formats are supported so you can use your own pictures, logos and clipart to design the perfect custom business card for you. You can even scan pictures from a scanner or a digital camera directly into your design with our business card software. • Support for all Styles of Business Cards: Standard Wide, Tall, Double Sided, Photo Quality, Folded and CD-R Business Cards. You name it and this business card software can handle it. • Linked Pictures: Use the Linked Picture tool to add a graphic that is different on each card or label you print. Pull the file names from a database or specify a list. Perfect for Photo ID cards or Badges. • Print it Yourself or Have it Printed Professionally: You can print your business card on your computer's printer and achieve excellent results or you can save your business card as an image and take it to your local print shop to have your custom business card printed professionally. • Custom Printing Options: With our business card software you can print any number of business cards starting at any position on the sheet on any Windows compatible printer using our business card printing software. • Rich Text: Mix fonts, styles and colors of text within a single rich text object. • Useful Shape Tools: Draw lines, rectangles, triangles, ellipses, diamonds and more. Use blending to make the background semi-transparent, blending into whatever is behind the shape. • Text Effects: Our business card software lets you draw spiral, radial, arc and variable size text. Change the font, size, color, style, shadow rotation and blending. You can even display text as a barcode, an auto-increment counter or the current date and/or time. • Gradient and Texture Fills with Alpha Blending: Use a gradient or select a texture or image to fill text and shape objects to create outstanding custom business cards. Alpha Blending allows you to blend the gradient or texture into whatever is behind it. • Store Business Card Information for Multiple Employees: The built-in Personal Database to store information for multiple cards so printing cards for employees is a breeze. • Affordable: Design as many labels and business cards and print as many copies as you want for a $49.95 US one time license charge. – IP addresses is around the world, dozens of countries of the IP address to be of your choice. One-click to make connection anonymously. – Government-level encrypted transmission, impeccable. Reconnect automatically when dropped , all-round protection of your privacy. – You can choose the applications you want to hide traffic for. – DNS Lookups are redirected, Let your activities be without leaving a trace. – Keep the same IP for as long as you like or tell IP Hider Pro to choose a new IP every 1, 5, 30 or 60 minutes for extra protection. 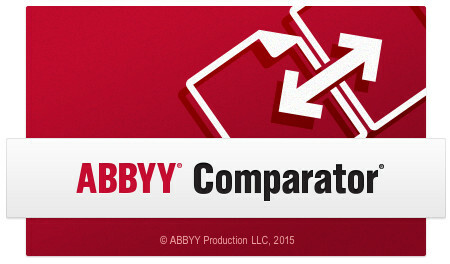 ABBYY Comparator is a document comparison application that can compare two versions of the same document. The compared versions can be in the same or in different file formats. ABBYY Comparator will help you quickly identify unwanted modifications to prevent you from signing or publishing the wrong version. • Compare document versions in different file formats. For example, you can compare a text document and an image (a scan, a photo, a PDF document without a text layer, etc.). The compared texts must be written in English or in Russian. • Examine the differences in a handy side-by-side view. Clicking a difference in the results pane will immediately highlight the corresponding fragment in both versions. • Focus on what's really important — insertions, deletions, and other substantial changes to the original text. Minor differences in formatting, fonts, spaces, and tabs will be ignored. • Save comparison results as a difference report or as an annotated PDF document, with each difference highlighted and supplied with a comment. • Start using the program right away, as its uncluttered and intuitive interface is straightforward and self-explanatory. 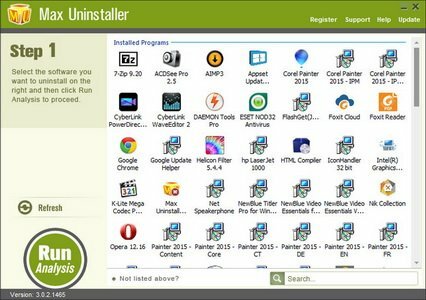 Max Uninstaller is the industry-leading Windows uninstaller, facilitated by highly engineered uninstall engine to effectively and thoroughly uninstall any program that the standard Windows Add/Remove Programs can't remove. In addition, Max Uninstaller technicians will resolve any of your submitted program uninstall requests, in case Max Uninstaller couldn't remove the program completely or fix the corrupt program uninstall/install errors effectively. • Resovle any difficult program uninstall by 24/7 dedicated technical support!